Product prices and availability are accurate as of 2019-04-20 23:41:07 UTC and are subject to change. Any price and availability information displayed on http://www.amazon.com/ at the time of purchase will apply to the purchase of this product. TemPaint is a temporary, self-adhesive peel-and-stick vinyl wallcovering. Its patent-pending design will make your room look like it has just been painted! It comes in a roll of 64.5 sq. ft. (23.6" x 32.8'). 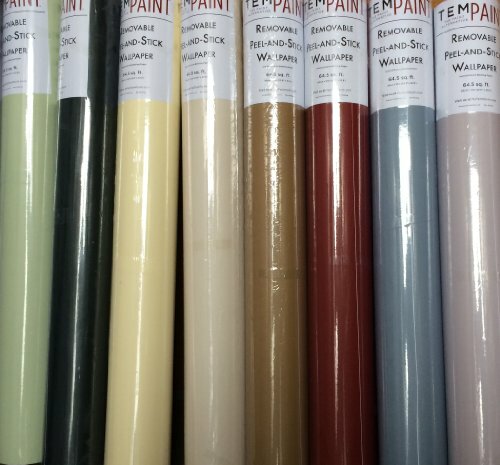 Visit our website for instructional videos or to ask for samples: myTemPaint .com Colors may appear slightly different per computer screen based on visual settings. Please be sure to view all pictures closely and with proper settings. Be sure to wipe down your wall to remove dust and grime prior to application! Apply only to glossy painted surfaces. 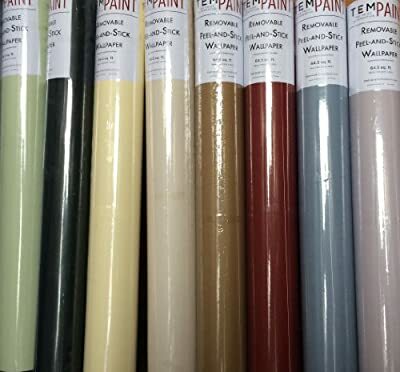 Weak/matte paint or rough surfaces may peel or break away upon removal of TemPaint. Sprayed on paint (versus rolled or brushed) has been shown to constitute as "weak/matte paint"; Please remove with caution.